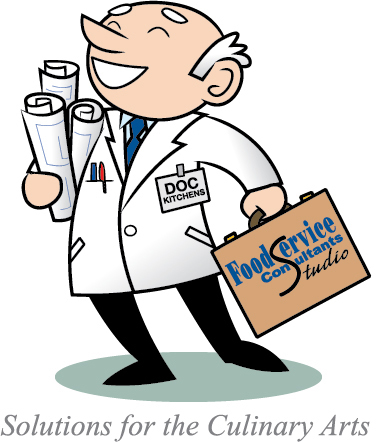 Welcome to Doc Kitchens, where all your commercial and institutional kitchen design questions will be answered. These entries will answer some of the questions that we get repeatedly from end-users and architects, such as why we use 10″ wide solid tray slides. The contributors to this blog are Foodservice Consultants Studio associates, award-winning, credentialed foodservice facility design specialists. We have 100+ years of combined experience and are a certified women-owned, small business.